What if a biological terror agent wiped out most of humanity, and our domesticated animals were left in charge? How would our dogs and cats set about ruling and rebuilding the world? Ransom, the leader of the Dog Tribe, has been murdered by a creature known as the Endark. An English Pointer named Legend reluctantly rises to lead in his place, vowing to kill the monster once and for all. 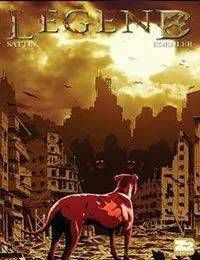 From acclaimed novelist Samuel Sattin and award-winning illustrator Chris Koehler comes LEGEND, where cat technology rules, dogs partner with hawks, and humans may be the most beastly creatures of all.